Being ranked on a US News list is a big deal. While students often get stuck on dreams of prestige and selectivity, this year's list of "up-and-coming" schools hold the promise of innovation and success. 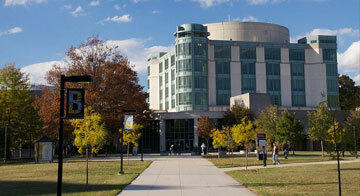 College counselor Nancy Griesemer summarized the new list of up-and-coming colleges, which includes perennial favorites like George Mason University and University of Maryland - Baltimore County (UMBC). The list also includes small liberal arts colleges like Hendrix and Ursinus, both of which are lauded in Loren Pope's book Colleges That Change Lives. You can read more about the up-and-coming rankings and each of the 22 schools on the list in this new article. Are you going to apply to any of the up-and-coming colleges? We would love to hear your thoughts in the comments below.